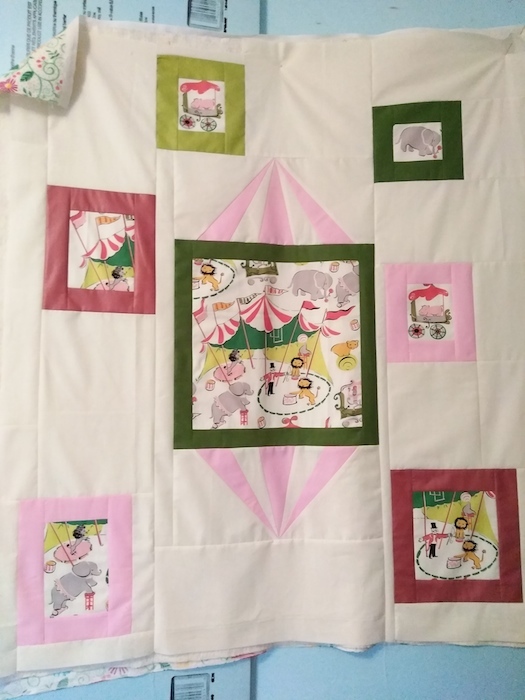 With just a fat quarter of fabric and a baby girl arriving, I pulled some fabrics from my stash to make a modern, fun baby quilt in a circus theme. 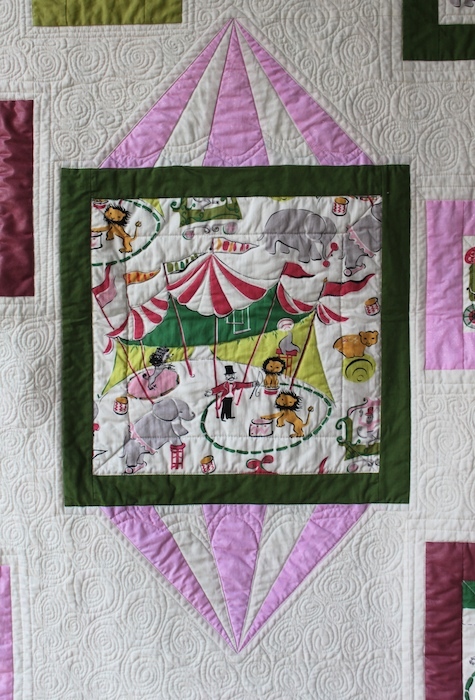 I had purchased only a fat quarter of this circus themed fabric which is an Anna Griffin for Windham Fabrics design. 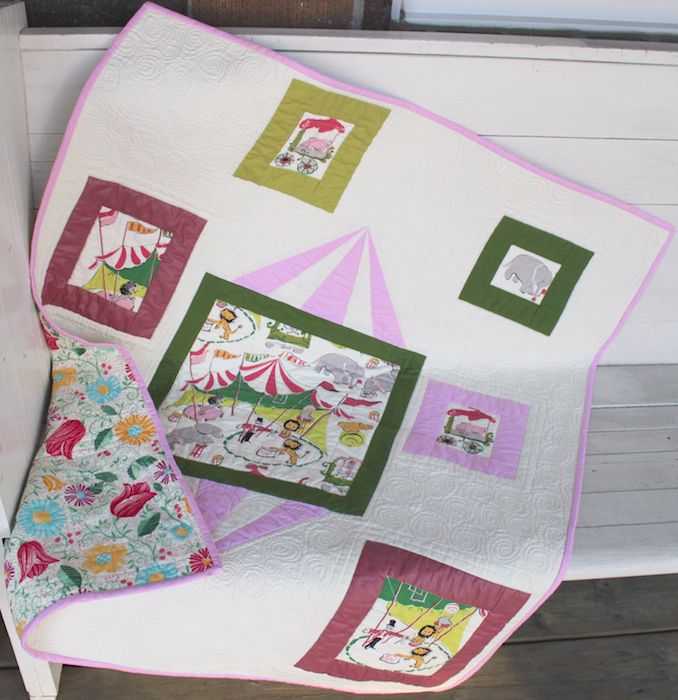 This baby quilt was the perfect opportunity to use it. I was able to fussy cut individual animals from the piece to create floating boxes around the central medallion. 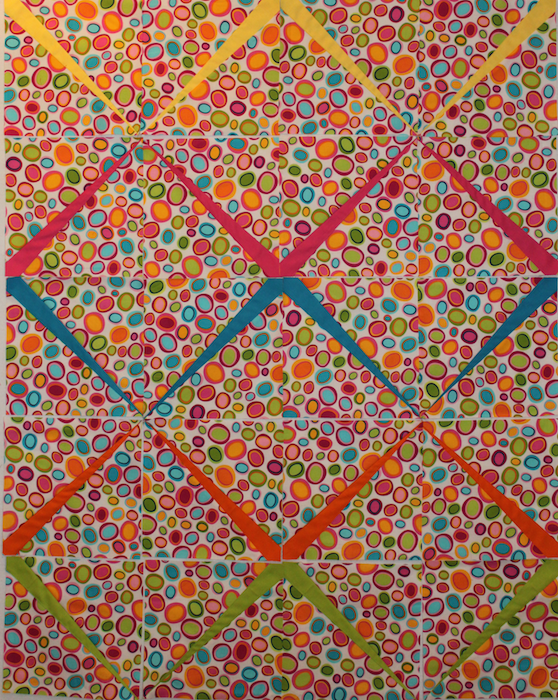 I wanted the individual squares to pop out, so I heavily free-motion quilted in the negative space. 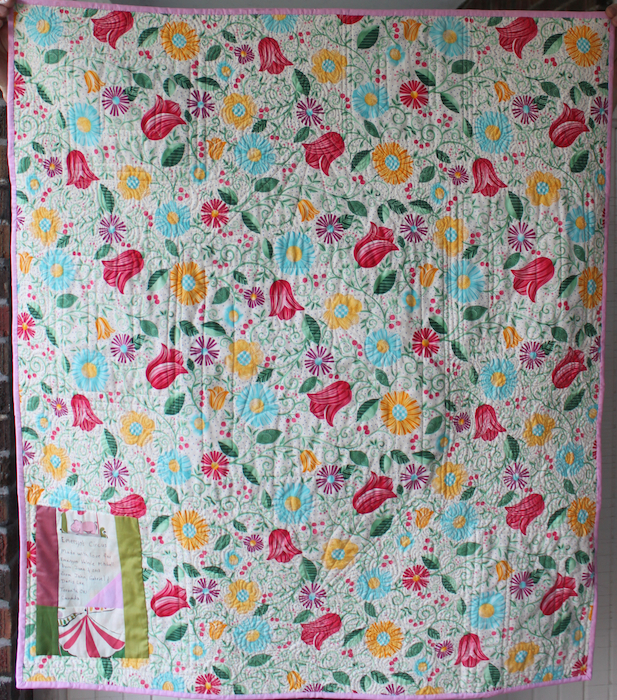 My husband selected the floral print for the backing. 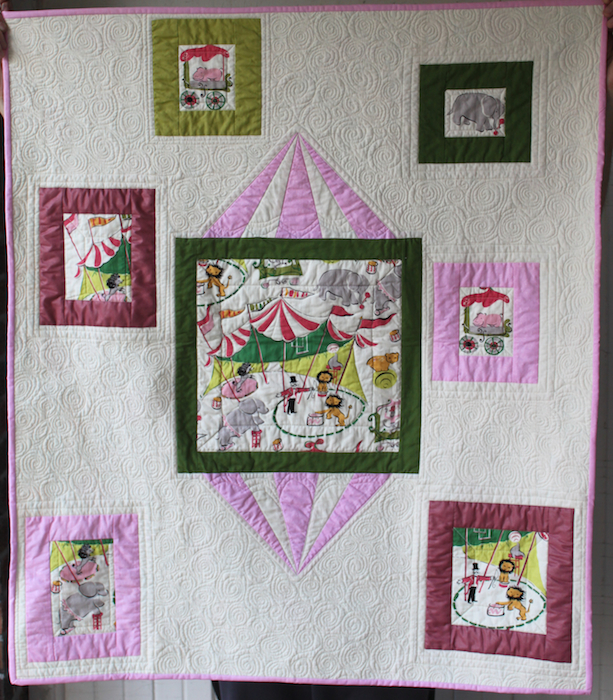 I am looking forward to giving this completed modern circus baby quilt to the beautiful little girl it was made for. 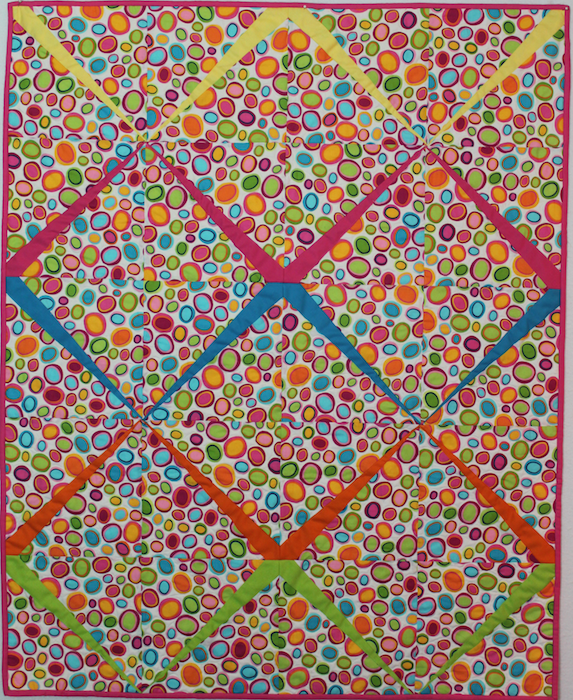 I like to try new techniques, so when I saw the title: Sliver quilts: 11 projects easy technique for dynamic results by Lisa O’Neill, I had to try it. In this technique narrow strips of fabric are encased in a fold when stitched so that there are no raw edges. Very fine points are achieved by using this technique. The ‘slivers’ of fabric can be made with fabrics that fray such as silks, rayons, and sheer fabrics like organza. Beautiful effects can be created with decorative trims such as rick rack and ribbons. 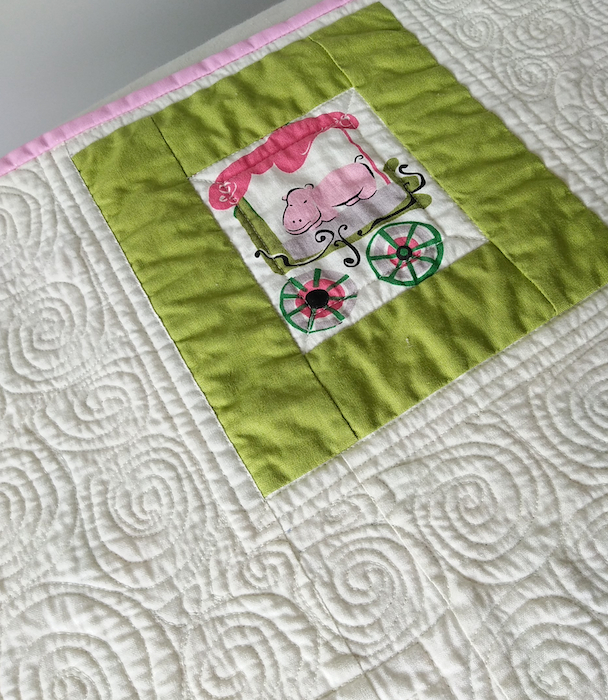 I used slivers to make a special baby quilt. It’s bright, colourful and happy!